Last month we wrote an article, "Why are so many children were recalled," got a lot of parents' concerns, and many clients of askwear proactively checks its own design, to ensure that costume design no potential risks. 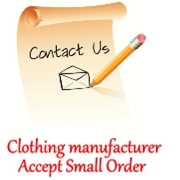 But recently there are a garment manufacturer's hoodies has been recalled, the reason is actually "a choking risk." 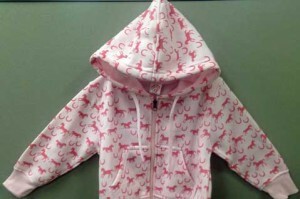 Clothing manufacturer Kiddie Korral, in conjunction with the Consumer Product Safety Commission (CPSC), has recalled hoodies because they can pose a strangulation hazard to children. The hoodies, which feature a pattern of pink ponies and were sold in kids’ sizes 2 through 12, have drawstrings that can potentially get caught on playground slides, school bus doors and other moving objects. This is not the most terrible, the most terrible is this kid's hoodie has sold two years, from 2012 to 2014. This is a picture of this child hoodie, avoid buying this child hoodie, and check your child's wardrobe now, if you have purchased, removing the drawstrings immediately. In fact, askwear not recommended change adult clothing design to children's. Kids clothes should be Individually designed. Although sometimes very beautiful, but more often, there are many potential risks, especially hoodie. "when you design children's clothing, try not to use drawstrings, if you really need, please control the drawstrings length in less than unilateral 15 cm."